Home » Regional Cinema » After Baahubali 2, SS Rajamouli's Mahabharat to feature Rajinikanth, Mohanlal and Aamir Khan ? The trailer of SS Rajamouli's Baahubali 2 is yet-to-be-released but the director has been making news ever since the director expressed his desire to work on a film with the epicMahabharat as its backdrop. ​Recently, the director had revealed that his biggest dream is to make Mahabharat on a bigger scale than Baahubali. Since Wednesday evening, there are reports that the Baahubali maker is planning to begin filming the Mahabharat soon. 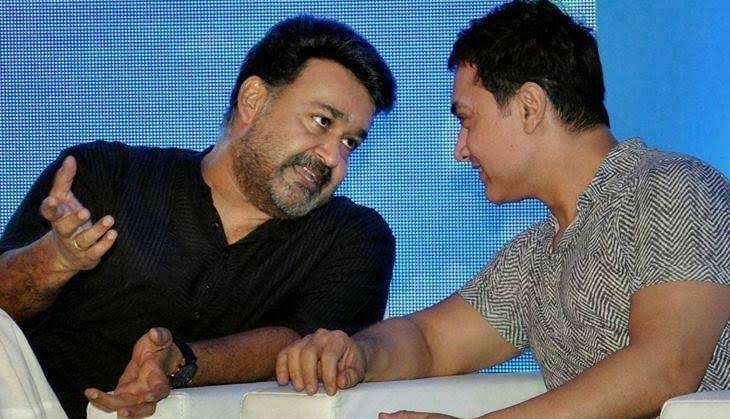 The director apparently is planning to cast Rajinikanth, Mohanlal and Aamir Khan in his epic trilogy. A big announcement is expected to be made in next few days. If these reports are to believed, then sky is the limit for Mahabharat as far as Box Office is concerned. Interestingly, Rajinikanth, Mohanlal and Aamir Khan still hold the record of actors with biggest hit in their respective industries. Thalaivar's Kabali is the biggest Tamil blockbuster till date whereas Lalettan's Malayalam film Pulimurugan is considered as the most successful film in the history of Malayalam cinema. And recently, Aamir Khan'sDangal unseats his own film PK, to emerge the all-time blockbuster of Bollywood. Meanwhile, Baahubali 2 is scheduled to release on April 28. The sequel to the 2015 film, Baahubali : The Beginning stars Prabhas, Rana Daggubati, Anushka Shetty and Tamannaah Bhatia.